I have to admit, I’ve always been a fan of Tenacious D. Jack Black and Kyle Glass have been entertaining me with their unique blend of Rock since 2001. I am especially fond of their song “Tribute” (which also happens to be the Aandklas Hatfield anthem and has had numerous folks dancing on tables). Fact is, Tenacious D has actually been around since 1991. The band actually had their own TV show on HBO in the USA from 1997 to 2000 (before they released their debut album). To date Tenacious D have released 3 albums: their self-titled debut album (in 2001), The Pick of Destiny (in 2006) and The Rize of Fenix (in 2012). Besides Kyle and Jack Tenacious D also has plenty of session and touring musos who play for them. In case you did not know, Dave Grohl from the Foo Fighters is on that list. Tenacious D have also been doing the festival circuit in Europe this year (which is actually something I want to do before I am 40). 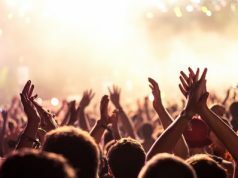 The Rock Am Ring Festival was held in Germany at the Nürburgring racetrack again this year. Tenacious D was one of the bands that performed at the festival. Other bands on the line-up for Rock Am Ring and Rock Am Park (which was held on the same weekend in the South of Germany) for 2012 included As I Lay Dying, Anthrax, Awolnation, Billy Talent, Enter Shikari, Evanescence, Guano Apes, Kasabian, Keane, Korn, Killswitch Engage, Lamb of God, Linkin Park, Machine Head, The Prodigy, Marilyn Manson, Metallica, MIA, Motörhead, The Offspring, Skrillex, Soundgarden, The Subways and others. To be honest, seeing line-ups like these makes me want to check out an international festival in 2013. Maybe I should make it happen. I am pretty sure that many Aandklas Hatfield regulars (and other Tenacious D fans) will appreciate this video. I would not mind seeing these boys live in South Africa. If they do decide to come here, it would be totally awesome if they could play in Aandklas Hatfield. If Jack and Kyle are reading this post: “You don’t know how much people love your song in that place, you have to experience it”. If you’ve enjoyed this post, share it with your friends on Facebook and Twitter. Remember: Sharing is Caring. 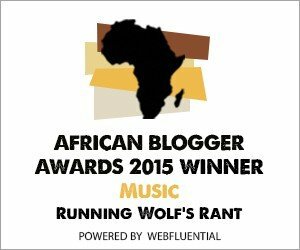 Watch this space for regular updates in the Music category on Running Wolf’s Rant.